How is it possible to understand society and the problems it faces? What sense can be made of the behaviour of markets and government interventions? How can citizens understand the course that their lives take and the opportunities available to them? There has been much debate surrounding what methodology and methods are appropriate for social science research. In a larger sense, there have been differences in quantitative and qualitative approaches and some attempts to combine them. In addition, there have also been questions of the influence of competing values on all social activities versus the need to find an objective understanding. Thus, this aptly named volume strives to develop new methods through the practice of ‘social synthesis’, describing a methodology that perceives societies and economies as manifestations of highly dynamic, interactive and emergent complex systems. 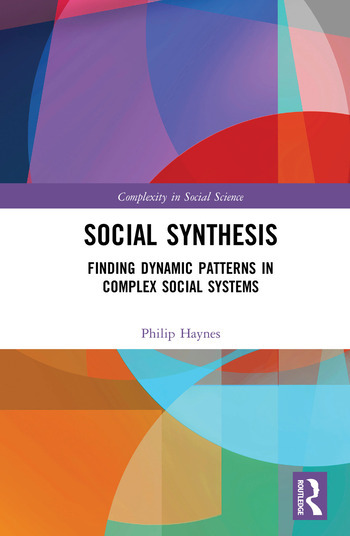 Furthermore, helping us to understand that an analysis of parts alone does not always lead to an informed understanding, Haynes presents to the contemporary researcher an original tool called Dynamic Pattern Synthesis (DPS) – a rigorous method that informs us about how specific complex social and economic systems adapt over time. A timely and significant monograph, Social Synthesis will appeal to advanced undergraduate and postgraduate students, research professionals and academic researchers informed by sociology, economics, politics, public policy, social policy and social psychology. Philip Haynes is Professor of Public Policy in the School of Applied Social Science at the University of Brighton, UK.